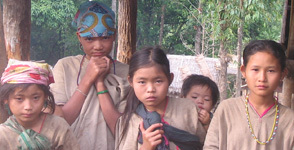 On Thursday 6 June 2013, high-level representatives from around 20 countries gathered in Oxford to formally launch the Multidimensional Poverty Peer Network, a global network for policymakers engaged in implementing multidimensional poverty measures. 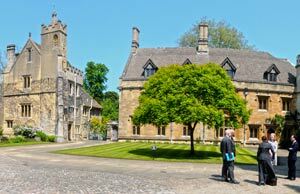 The launch events began with a Policy Symposium held in the auditorium of the beautiful Magdalen College, which was founded in the 15th century. Following an introduction by OPHI Director Sabina Alkire, Dr Gonzalo Hernández Licona, Executive Secretary of Mexico’s National Council for the Evaluation of Social Development Policy (CONEVAL), presented Mexico’s national multidimensional poverty measure, and Bruce Mac Master, Director of Colombia’s Department for Social Prosperity, presented the MPI-Colombia. High-level representatives of China, Mexico, Morocco, India, Brazil, Malaysia and El Salvador then spoke about the explorations in multidimensional poverty measurement taking place in their countries. You can watch video recordings and download the presentations from the Policy Symposium here. You can also hear interviews conducted with some of those involved by W Radio Colombia, which broadcast live to Spain, the US and many countries in Latin America from the launch events at Magdalen College. Listen to Dr Sabina Alkire here, Dr Gonzalo Hernández Licona here, and Dr Paulo de Martino Januzzi here. Following lunch at the college, participants were joined by President Juan Manuel Santos of Colombia, who gave a stirring speech urging them to share their experiences and build their collective knowledge. The President stressed ‘the urgency of implementing a multidimensional approach in our battle against poverty’. ‘We know this challenge has more than one side, more than one face, and to outsmart it we need to uncover them all,’ he said. You can watch the President’s speech here, and read the transcript here. President Santos’ speech was followed by an animated roundtable discussion about the aims of the Multidimensional Poverty Peer Network, and how members envisioned it working going forward. 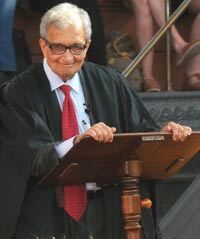 Participants then gathered in the garden of the President of Magdalen College, David Clary, for tea, where they were joined by Amartya Sen, Nobel laureate in Economics, Professor of Economics and Philosophy at Harvard University, and an advisor to OPHI. Professor Sen went on to give a lecture on ‘Discovery of Women’ to a packed Sheldonian Theatre, taking questions from an engaged audience for the best part of an hour afterwards. You can watch Professor Sen’s lecture in full here, and the question-and-answer session that followed it here. 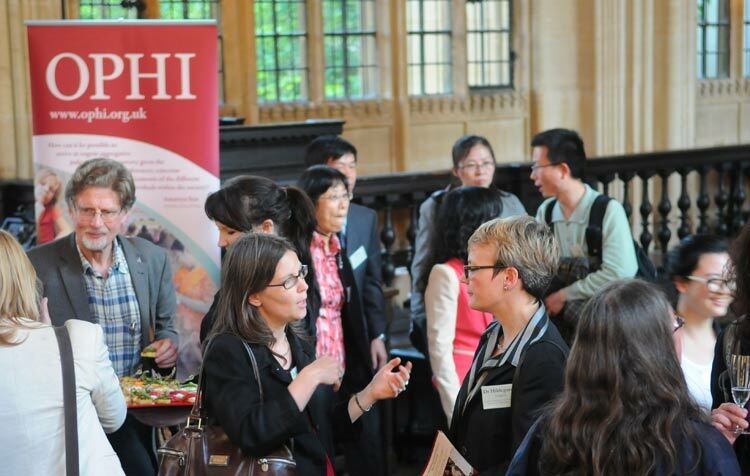 After the lecture, Professor Sen and participants of the Multidimensional Poverty Peer Network launch attended a reception in the Bodleian Library’s medieval Divinity School, Oxford University’s oldest purpose-built teaching room. Under the elaborately vaulted, Gothic ceiling, they mixed with fellow policymakers, academics, development practitioners and others. The day’s launch events were rounded off with a dinner in the Old Library in the nearby Church of St Mary the Virgin. Constructed in 1320, the Old Library was the first University library, containing a small number of books that were chained to desks. More recently, the Old Library was the venue for the founding of Oxfam in 1942, under the chairmanship of Canon Milford, initially to relieve the plight of Greek refugees. Participants of the Multidimensional Poverty Peer Network launch were entertained during dinner by an all-male student choir, who sang a capella versions of traditional and contemporary English songs. The launch events of 6 June were followed by a full day of roundtables on multidimensional poverty on 7 June, at which participants discussed in depth their experiences of implementing multidimensional measures at the national and subnational level. You can watch video recordings of the speeches and download the presentations that were given here.